This week on the blog, my good friend, nutrition coach, and budget-friendly foodie explains how you can avoid the drive-thru and start SAVING MONEY on HEALTHY food. I have been asking her to write this post for a while and finally it is here! She also writes on her own blog at AWalkMyWay.com. Umm…nope… I don’t buy it. If that family were to eat McDonald’s five times a week for the entire month (let’s call it 20 times) this will cost $311.20 for the month. This is amount we budget to feed our family of four with ten DAYS worth of groceries for breakfast, lunch, and dinner! Not to mention, we are also eating healthy and still well within our budget. According to the USDA the average American household spends $150 to $300 on groceries per week. Our family is on the high end of that average and yet we still spend less than it would cost for our family to eat at McDonalds that frequently. When I left my teaching job to stay home with our kids, I was desperate to find ways to contribute financially. 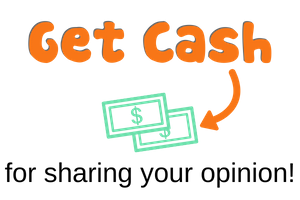 I began couponing and finding simple ways to pinch pennies here and there using digital coupons and the Ibotta app. What I discovered was the majority of the food we ate was fresh produce and meats, which rarely allowed for couponing. 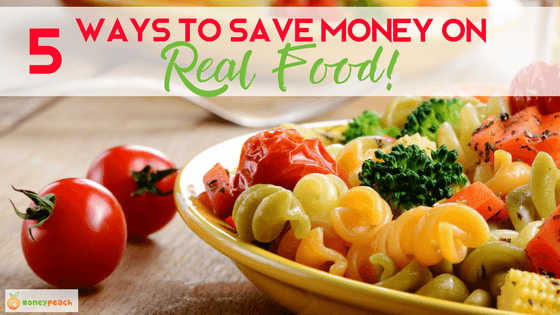 I began to find other ways to save on those foods by becoming very “real food” savvy. I want to help you realize the same. Sparing no expense for quality food is something I am not willing to compromise on, and you shouldn’t either. There are ways to save; you just have to think outside-of-the box, be willing to invest your time, and have a PLAN of action. From my experience, I found five unique ways to save money on food we should all be eating. Not stuff in boxes that lasts forever, but on food we need to eat quickly before the food goes bad. Did you know eating the vegetables that are in season provides you a lot of benefits? It is something often overlooked because of the grocery store convenience. We have access to almost anything we want year round, however most of us can’t even tell which produce is actually in season. The benefits to eating produce when it is in season are plenty. Tastes better: the environment for its growth is ideal. Less human interaction: when it grows as it is supposed to, humans probably have less to do less with its growth. This means less chemical exposure and a lower price for you. Affordable: it is simply easier to come by therefore less expensive due to the good old supply and demand principle. Total freshness: when things are fresh they tend to have more nutritional value and a richer taste. This is so cool! You can select your region and time of year to see what produce is in season in your area. Clearance on whole, real foods? Um, yes! Almost every grocery store will highly discount fruits, veggies, and meats that are almost about to expire. Perfect for you and I because we have a FREEZER. Take those items and throw them in the freezer for later use. Those brown bananas that are $0.39 per pound…slice them up, store them in a freezer bag in your freezer, and then throw them in a smoothie or a blender for some nice banana ice cream. You will also have a freezer full of options to pick from for meal prep without having to visit the grocery store as frequently. I know you are thinking does this really even happen anymore? I promise it does…just not so much in the paper version. Almost every store offers a digital version of their weekly ad. Even betterer, many stores offer digital coupons that often include coupons for sales on produce, tubbed greens, and meats. They are begging you to use their app and retain your business so these coupons need to be fully taken advantage of. It only takes one minute to scroll through their ads and coupons, and that minute could be worth lots of $$$ for you over time. I’ve used digital coupons on packages of mixed greens along with store’s weekly sale to get a large container for one dollar. This one dollar becomes several nights worth of salads to pair with a meal for less than $0.33 for your ENTIRE family! Coupons are not abundant for real foods but I have a surprise for you! There are some great sites that do provide us with something better. All Natural Savings is one of those sites that offers coupons and rebates on organic and high quality options. I am not talking about the bottom of the line store brands. I am talking about nice quality frozen store brand fruits, veggies, and meats. Every store offers them now and this is to your benefit. Grocery chains are now recognizing their consumers are demanding higher quality for ourselves and our families. A great example is my favorite mainstream store brand by Kroger called Simple Truth. Simple Truth is mostly an organic brand who can almost always beat the price of its non-store brand. Not to mention, stores would love for you to buy their off brand, therefore they are on sale more often than not. Cha-ching! Although frozen, these foods still offer you a major healthy go-to-dinner on a busy work night. 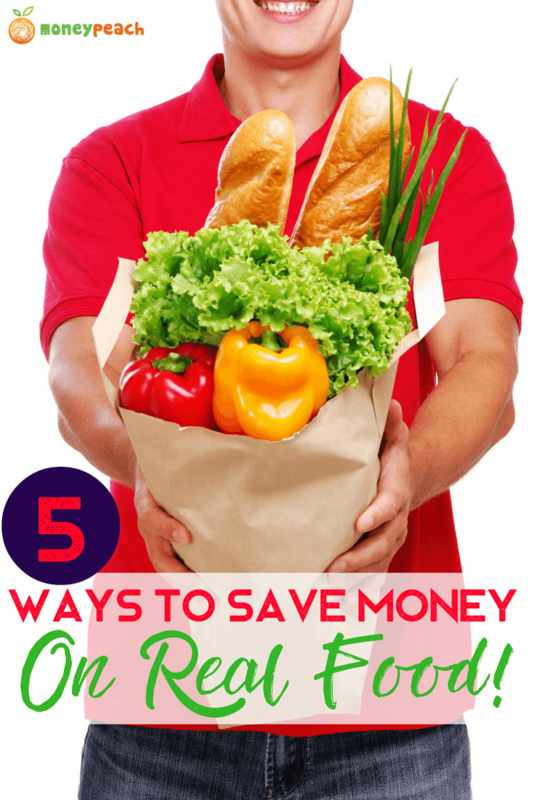 The best tip to saving money on real food is PLANNING ahead. I know it takes time, it takes energy, and it takes using your noggin. However, isn’t your health and the health of your family worth every extra minute it takes? And hello! We all love a night off from cooking! Just by simply planning for 5 dinners each week, you are saving money and avoiding the temptation to hit the drive thru when life gets busy. BONUS: Saving money on real food means you are investing in your health as a byproduct. 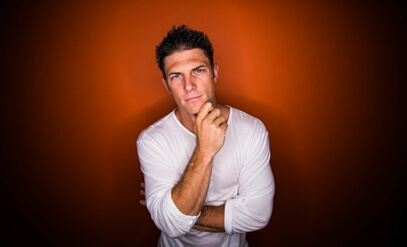 Therefore, completing the cycle of awesomeness I’ve talk about before…health, wealth and happiness. Maybe the claim of healthy, nutritious food being expensive is less about cost and more about convenience. It’s simple math: healthy living does NOT costs more than fast food. But, it does take a little more work. Get started by using these 5 tips to invest in your pocket book and in your health. Nice one. You should try this trick too. Whenever you make grocery shopping, try doing it through brands and stores listed in Yaarlo. They have the best cashback deals. 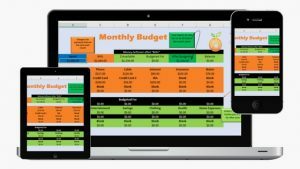 I earn around $40 a month. yaarlo.com has triple cash back which is my favorite.